A left-wing cartoonist faced criticism over the weekend for a cartoon that has been accused of inappropriately targeting Supreme Court nominee Brett Kavanaugh's ten-year-old daughter, Liza. 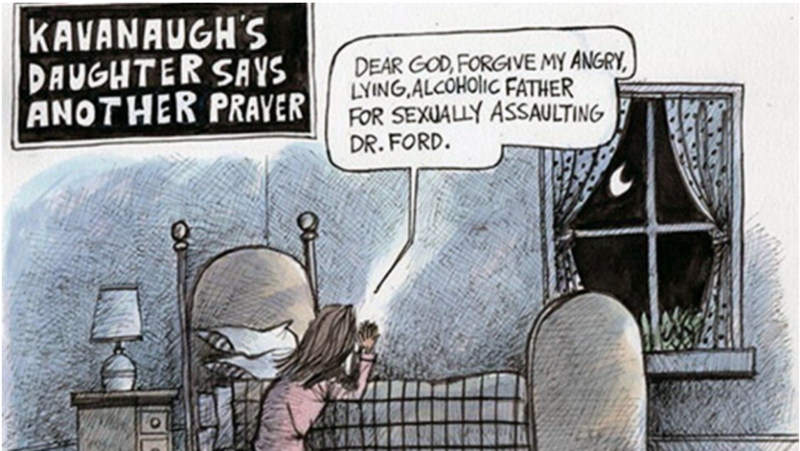 The editorial cartoon by Chris Britt depicted a girl kneeling next to her bed and praying, "Dear God, please forgive my angry, lying, alcoholic father for sexually assaulting Dr. [Christine] Ford." The cartoon displayed Friday's date and the name of the Illinois Times, an alternative weekly newspaper based in Springfield, Fox News reports. It was posted on Facebook by Britt and gained broader attention after a Twitter user wrote that it "contravenes every standard of decency in our society" and asked the Illinois Times to "[p]lease remove it." According to a Facebook statement from the Illinois Times, Britt "is a regular contributor," but "not an employee and also engages in work for other publications across the country." 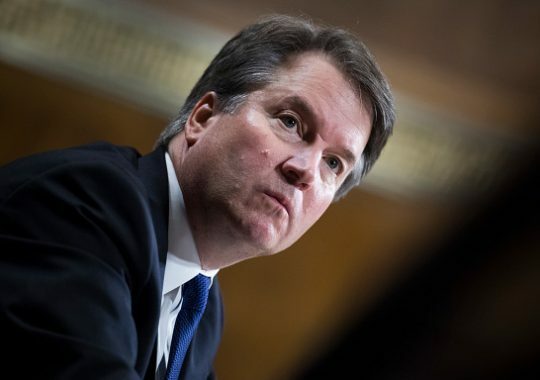 The paper said it did not publish the cartoon depicting Liza Kavanaugh. "The recent cartoon involving Kavanaugh’s daughter was posted on Chris’ own Facebook page; it did not appear in our publication or on our website[.] The Illinois Times name should not have appeared on the cartoon in question and we have asked Chris Britt to remove it," the statement continued. On his Facebook page, Britt wrote, "I'm not the one who brought up his children. Brett ‘I LOVE BEER' Kavanaugh brought them up." During his opening statement before the Senate Judiciary Committee last week, Kavanaugh said his daughter suggested the family should pray for Christine Blasey Ford, a woman accusing him of sexually assaulting her while they were in high school. A biography of Britt on the Creators Syndicate website describes him as "a self-described liberal [who] nevertheless delights in skewering deserving politicians of every persuasion."